Pet Bathing and FURminating: It's Not Just for Good Looks! Pet bathing can be a difficult and sometimes tiresome task, but it’s necessary for your pet’s health and for reducing the amount of pet hair in your home. Even regular bathing can reduce shedding, promote skin and coat health, and make your pet smell and feel great. Some pets also experience more serious fur matting that can lead to a number of other health concerns. Did you know that we provide bathing and Furminating services here at the clinic? Let’s face it, dogs like to get dirty. When they smell something in the grass, they roll in it, and when they’re outside exploring, they won’t let some mud halt their pursuit. All this dirt and debris can cause problems for their skin and overall health, as well as for your furniture. PetMD suggests you begin washing routines with dogs when they are puppies to ensure they become accustomed to the brushing, shampooing, ear inspections, and nail clippings. If you wait until they’re older for their first bath they may not cooperate, making it all the more difficult. Delavan Lakes Vet Clinic offers bathing services that most dog groomers don’t. 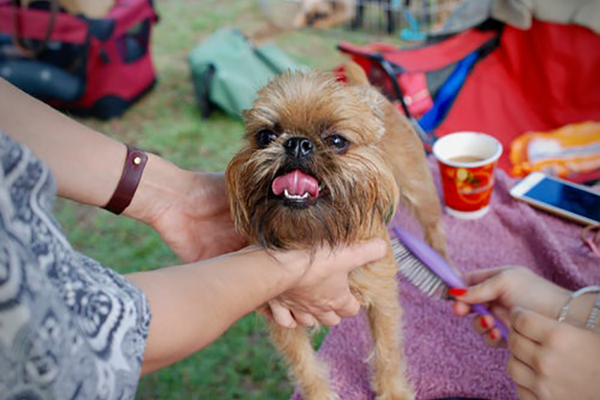 We use high-quality shampoos and conditioners along with a thorough ear inspection, cleaning, and nail clipping. We use industry-leading FURminator brand pet grooming supplies and equipment for the best results. Let our trained pet experts take your dog’s hygiene to the next level. Read about Chevy the dog’s adventure at the FURminator here. Cat bathing requires veterinary-supervised sedation and trained personnel to keep your cat comfortable and safe during the procedure. Even though cats spend a lot of time grooming themselves, they lack the proper tools when there is a serious problem. 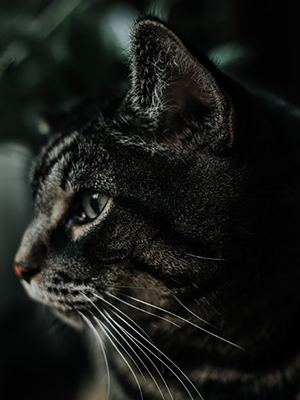 If you notice that your cat is scratching a certain spot more than usual or just can’t stop scratching at all, then it might be time to take them in to see a professional. These could be signs that your cat has ear mites and will need an ear cleaning and thorough bathing. At Delavan Lakes Vet Clinic, we use the FURminator line of grooming tools that have been proven to reduce shedding within one to two treatments. FURminator’s patented line of deshedding tools are great for all animals with a fur coat that shed. We Offer Pet Boarding, As Well! As your full-service veterinary clinic, we offer safe, friendly, full-service boarding on-site for your convenience. All dog breeds are welcome, and there’s a separate area for your special cat companion. Rest assured—we give extra care and attention to every pet that boards with us.